What does "Pending" mean when withdrawing money? Campaign performance is tracked and displayed in real time within your campaign. As soon as your tracking link is clicked, your performance report will display how much money you have earned. To make a withdraw, go to your SETTINGS -> PAYMENTS page. You'll see a record of past transactions as well as your current balance of money available for withdraw. Select how much money you would like to withdraw, and provide your payment details. The money will immediately being to transfer. Funds generally appear in your account within 24-48 hours or less. Payment transactions are often manually reviewed to protect against fraudulent activity. This may add a delay to your payment processing time. We try to do everything we can to ensure a speedy review if your transaction is reviewed. Is there a transaction fee charged for with drawing money?  Swaayed does not charge a transaction fee, but payment processing companies do. The fee is generally 1.5% to 3% of the payment amount. Is there a minimum money earned I need to get paid? No, you can withdraw any amount at any time. Can I get paid by check, Paypal or bitcoin? No, at this time payment is done online through our payment processor, Stripe. Can I get paid if I live outside the US? Yes, as long as Stripe payments are available in your country. Stripe is available in 25 counties.